Want to know more about our information technology services and solutions? Monitoring business performance and enabling decision making using data visualization plays a vital role now than ever before. Organizations understand to maintain the ongoing competitive advantage, they need to unleash the power of information to all levels of management using simple, effective, to-the-point data visualization. 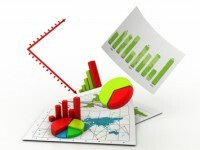 GloWiz helps clients to develop flexible, effective dashboards quickly and efficiently. With extensive experience we help develop best data visualization and dashboards to meet the diverse needs of people at different levels and roles of the organization. We seamlessly integrate the dashboard solution with existing SAP BusinessObjects platform and leverage the existing infrastructure and security policies. With flexibility and personalization, we create a win-win experience where users are more engaged improving operations and profitability of the business.